In 1952, jazz producer Norman Granz came up with the idea of recording Fred Astaire with a top-flight jazz group. 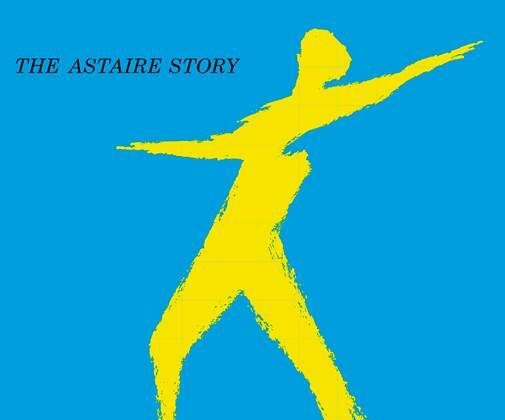 To celebrate the 65th anniversary of “The Astaire Story,” Verve Records/Ume has released a 2-CD set. In addition to singing songs from his films, he reminisces and even dances on three tracks, his feet acting as a percussive instrument. The jazz combo is made up of piano great Oscar Peterson (who switched to celeste on “No Strings”), tenor-saxophonist Flip Phillips (more subdued than at the Jazz at the Philharmonic concerts), trumpeter Charlie Shavers, guitarist Barney Kessel, bassist Ray Brown, and drummer Alvin Stoller. They play beautiful obbligatos and, when the group swings, Astaire has no trouble keeping up. Though Astaire had a limited vocal range, top songwriters were clearly inspired by his disarming way with a lyric and impeccable sense of rhythm. Astaire did not sing with the dramatic flair of a Sinatra but, like Louis Armstrong, his vocals conveyed joy. The songs on the set are by Irving Berlin, Jerome Kern, Cole Porter, Vincent Youmans, Dietz and Schwartz, and George and Ira Gershwin. The liner booklet contains an essay by Marc Kirkeby and photos as well as drawings of the natty Astaire at the sessions. Astaire even performs two of his own compositions: “I’m Building up to an Awful Letdown” and “Not My Girl,” the second with the movie star playing stride piano. There are also instrumental jams, led by Peterson, called the First and Second Fred Astaire blues. For the 60th anniversary of the film musical “Funny Face,” Verve/UM has released the original numbers plus eight bonus tracks (alternate versions of the songs). The 1957 movie was based on a 1927 Broadway musical with the same title that had starred Fred and Adele Astaire (his sister) and had songs by George and Ira Gershwin. For the movie, the script was rewritten and only four Gershwin songs were retained and Audrey Hepburn took over the female lead and (despite the age difference between the stars) the results were winning. There are duets of “On How to Be Lovely,” the lively “Clap Yo’ Hands” and “’S Wonderful” and all three leads join for “Bonjour, Paris!” (which was actually shot in France). The album is enjoyable but if you like musicals, you should watch this one. “Sweet Smell of Success” was a 1958 drama set in New York, with pungent dialogue by Clifford Odets. Though it starred Burt Lancaster and Tony Curtis, the movie was not a commercial success when released, but is now recognized as a classic by Martin Scorsese and the National Film Registry of the Library of Congress, among others. Decca has released the soundtrack, composed and conducted by Elmer Bernstein. The jazzy score features the Chico Hamilton Quintet and has other jazz artists, such as drummer Shelly Manne and the Candoli brothers Pete and Conte, who both played trumpet. In Bernstein’s 50 year career, he was one of the innovators of integrating jazz into film music (as he also did on “The Man With the Golden Arm,”) and this is one of his finest scores.